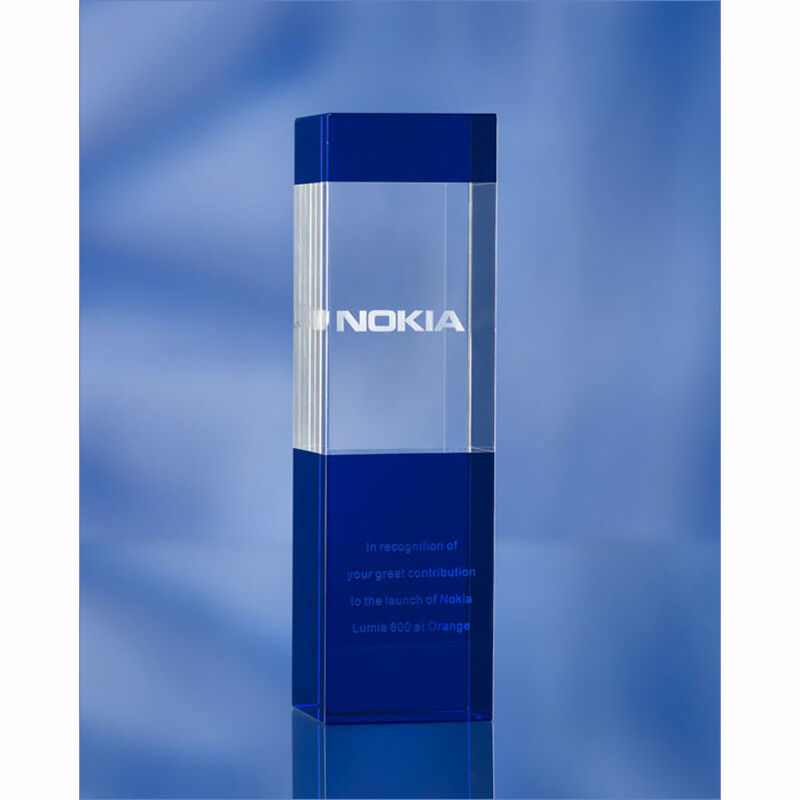 We can produce a custom made award to your specification from crystal. We can use coloured crystal and engrave any design / logo and also infill with colour. We are happy to work with you in order to create your unique award or pick a standard one. You can choose the size complexity and quantity. Comes with deluxe presentation box.